Among the most mystical of Limpopo’s people, the VhaVenda originated from the Great Lakes area of Central Africa, migrating south in waves over centuries. They first settled in the Soutpansberg Mountains; by the 13th century they can be traced to the glorious kingdom of Mapungubwe to the north. The kingdom of Thulamela, in Tshivenda meaning ‘place of birth’, flourished from roughly 1240-1640 AD. From about 1400 AD waves of Shona-speaking migrants from what is now Zimbabwe migrated south of the Limpopo River and over time became assimilated into the VhaVenda. Tshivenda, the Venda language, became a distinct dialect in the 16th century. In the 18th century, the first capital of a united Venda was established at Dzata and ultimately ruled over by the famous paramount chief, Thohoyandou. The Lemba, descendants of Semitic traders who entered Africa around 696 AD, later joined the Venda; they claim to be part of the ‘lost tribe of Israel’. The VhaVenda first came into contact with whites in 1836 when Voortrekker leader Louis Trichardt first arrived in the area around what became the town Louis Trichardt. The settlers established themselves at Schoemansdal in 1842, but Makhado, the Venda paramount chief at the time, over time drove the settlers away; Schoemansdal was abandoned in 1867. Mphephu, Makhado’s son, continued to challenge white settlement but was defeated and fled to Zimbabwe. Under apartheid’s bantustan policy, Venda was established as a separate homeland for the VhaVenda in 1979; after the democratic elections in 1994 it was absorbed back into South Africa. Ancestor worship and ritual are at the heart of VhaVenda culture. 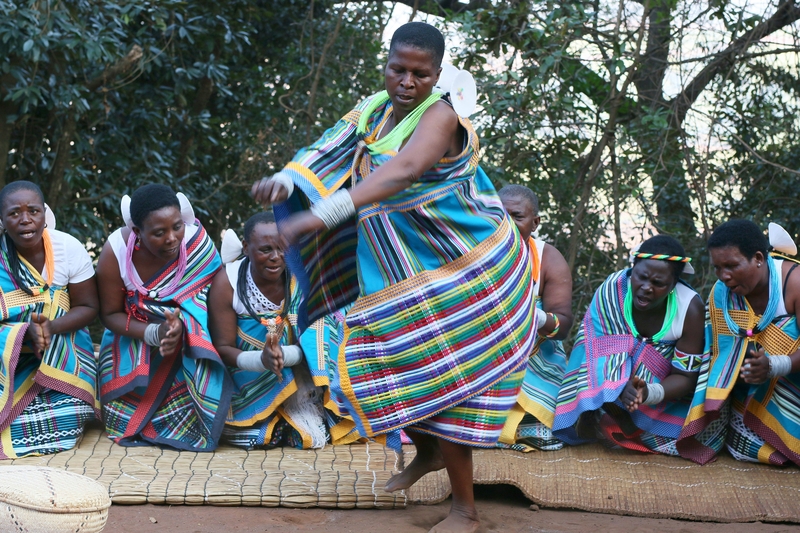 Water holds a highly significant place, and throughout Venda sacred rites are performed at water sources such as Lake Fundudzi, Phiphidi Falls and the Mashovela sacred pool. Thathe Vondo forest is said to be guarded by a white lion protecting the ancestors of the Netshidzivhe clan, who still bury their dead there. The Netshiavha clan continues to practice ancient rituals at Lake Fundudzi, which has an intricate spirit world. The VhaVenda are legendary for their many artists – also inspired by spirits, called to their art by the ancestors. Also central to their culture and religious life are drums – particularly the ngoma drum, used in ceremonies. The Ngoma Lungundu was a legendary drum said to make its proprietors invincible.